Murray Goulburn Unit Trust (MGC) is the largest dairy company in Australia (source: MGC), collecting around 38% of milk and total revenue of ~$2.9 billion. Macquarie suggests MGC is a play on the attractive global protein and dairy thematic. 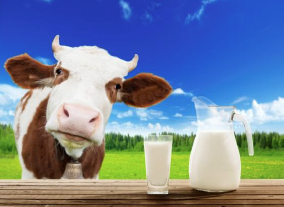 The broker highlights, global protein demand continues to rise with the ever-growing population and dairy is increasingly becoming a preferred source. Macquarie expects MGC to benefit from the growing international demand for imported dairy products, and new Free Trade arrangements provide a favourable backdrop to do so. Macquarie suggests dairy prices are at a cyclical low with a recovery expected. The broker also notes, global diary markets have seen a period of strong supply and weak demand, and now trade ~45-55% below the long run average for milk powder. Macquarie suggests the key risks to MGC include, loss of milk supply, paying an uncompetitive Farmgate Milk Price (FMP), volatility in commodity prices, FX rates as well as execution risk in relation to major capital projects. In summary, Macquarie initiate with an outperform and price target of $2.70 per share. This suggests 14% upside from Friday’s closing price. The broker forecasts an FY16 FMP of $5.87/kgMS and NPAT of $80.0m. IPO Society members were invited to participate in the MGC IPO offer at $2.10 per share.